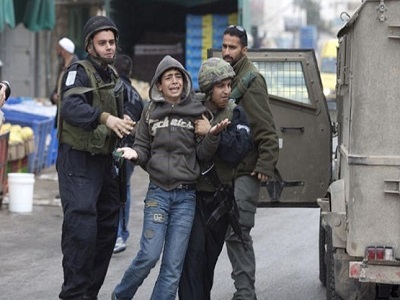 The Israel Prison Service (IPS) has suspended family visitation rights to Palestinian prisoners, the International Committee of the Red Cross (ICRC) told Ma’an today. The move comes as the large-scale “Freedom and Dignity” prisoner hunger strike entered its second day. A source from the ICRC said the international organisation had been notified that visits for Palestinian prisoners would be forbidden until further notice in response to the hunger strike, which official Palestinian news agency Wafa reported today was being carried out by some 1,500 prisoners. A spokesperson for IPS confirmed that visitations had been suspended “only for national security prisoners on hunger strike”. Meanwhile, Palestinian Committee for Prisoners’ Affairs head Issa Qaraqe told Ma’an that Israeli authorities had prevented lawyers from visiting hunger striking prisoners today, and that IPS had declared a state of emergency in detention facilities holding Palestinian prisoners. Palestinian Prisoner’s Society (PPS) chairman Qaddura Fares said the measures were a “punitive” procedure by Israeli authorities, adding that IPS had moved hunger-striking prisoners around in its detention facilities in order to separate them from Palestinian prisoners who were not participating in the hunger strike. 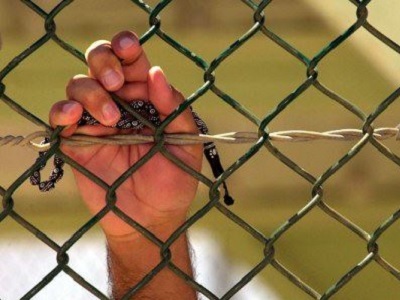 Sawt Al-Asra (Voice of Prisoners) radio station reported this morning that 35 Palestinians had been transferred from Section 11 to Section 13 in Nafha prison, after the prisoners took unspecified measures to support hunger strikers. The prisoners were affiliated to the Fatah movement and had expressed their decision to join the hunger strike on 24 April. Israeli authorities have detained approximately one million Palestinians since the establishment of the state of Israel in 1948 and the subsequent occupation of the West Bank, East Jerusalem, and the Gaza Strip in 1967, according to a joint statement released on Saturday by Palestinian organisations.